Get professional results with ghd’s brand new brush collection - developed with professional stylist to ensure you recieve the smoothest and sleekest finish to your style. The secret to big hair is to start when it’s wet! Apply, ghd® Style Root Lift Spray to damp hair and comb through, then begin to blow-dry using a hot heat setting on the ghd® air™ Professional Hairdryer. Once 80% dry, section your hair in small areas and place the brush under the root area and direct heat from your dryer at the barrel and work around the hair to create your style. The ceramic barrellled brush retains its heat to allow for faster blow-drying, leaving your hair silky soft and volumised in no-time! 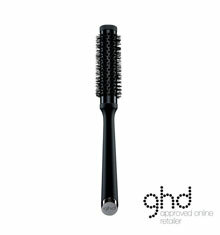 The Ceramic Vented Radial Brush Size 2 is ideal to create volume for mid-long hair hair, for short length hair try ghd® Ceramic Vented Radial Brush sSze 1. Secret style tip - to create body in the crown, use your brush like a large roller. Dry your crown section (as above) and then wrap the whole section around your brush. Blast with hot air and then use your cool shot. 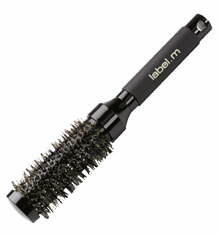 Leave the brush in your hair and let it cool completely before removing. 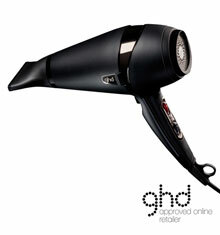 Finish with a spritz of ghd® Style Final Shine Spray for a glamourous and sultry touch.